The ninjas of feudal Japan were said to have done the samurai’s ‘dirty work’ – assassinations, spying and sabotage. In todays terms, the ‘dirty work’ of traveling would probably include packing and unpacking. If you browse travel forums, you’ll often find threads along the lines of “Packing – does anyone else stress like I do?” and “Does anyone else hate packing for a holiday?“. I would feel some schadenfreude for these frazzled netizens if I weren’t genuinely disappointed that they haven’t discovered that packing can be enjoyable. 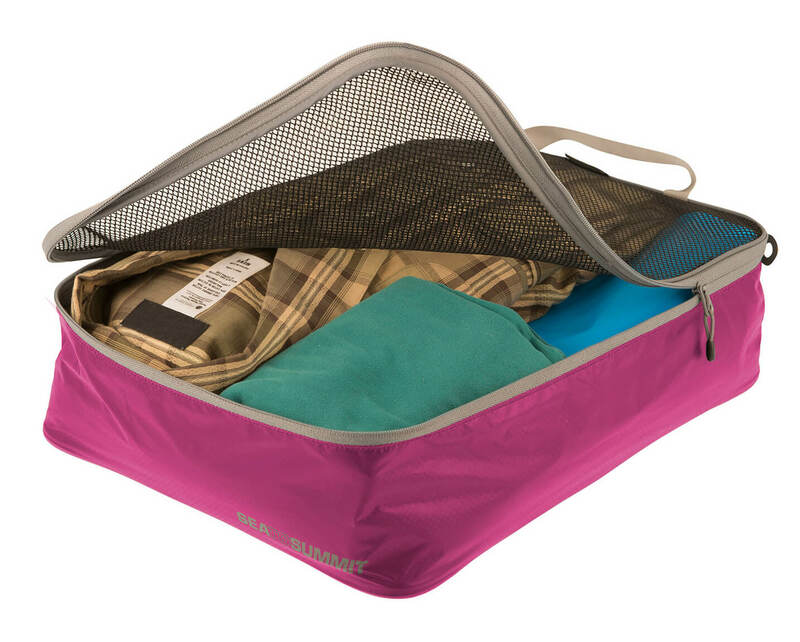 Fold your t-shirts, sweaters, shorts, skirts and pants and pack them into Sea to Summit’s medium or large sized Garment Mesh Bags. They open around three full sides, making sliding that stack of folded clothes into the Mesh Bag incredibly simple. You now have several soft, flat rectangular packages which are easy to stack in a duffle or carry-on bag and just as easy to access. With a bit of practice, clothes will come out with nary a stray crease. For your socks and underwear, pick a small packing cell so you won’t lose anything within the black hole also known as your suitcase. Your toothbrush, shampoo, deodorant, makeup and all that good stuff need a bag of their own. Why? Because of (1) organization and (2) you never know when something might spill or explode while traveling, and you wouldn’t want that to get all over your clothes. Sea to Summit has a few great options in this department, but my favorite is the Hanging Toiletry Bag. If you are traveling with just a carry-on bag, decant your liquid care products into the leak-proof 1.3 oz or 3.0 oz (40 ml / 89 ml) bottles of the TPU Clear Zip Top Pouch. Its clear, welded construction will outlast conventional Ziploc bags, and its water-resistant zipper will contain minor spills. For some shock protection, stick your camera or headphones in a protective neoprene padded pouch, and remember to get a rugged smartphone case. Smaller electronic devices like voltage converters and cables can be better organized using Mini Stuff Sacks. When thinking solely about the nitty-gritty of packing, most people forget this simple fact: hungry people are not fun to be around. Remember to bring some food with you to snack on while in the airport, on the plane or for the car. Pack an apple or clementine if you’re feeling healthy, or bring my favorite, Clif Bars. All of the above will need to be packed into a travel bag of some kind. In recent years, “expedition”-style duffels have become popular. They are tough and weatherproof, and some have backpack–style straps to make carrying them over longer distances a little more comfortable. 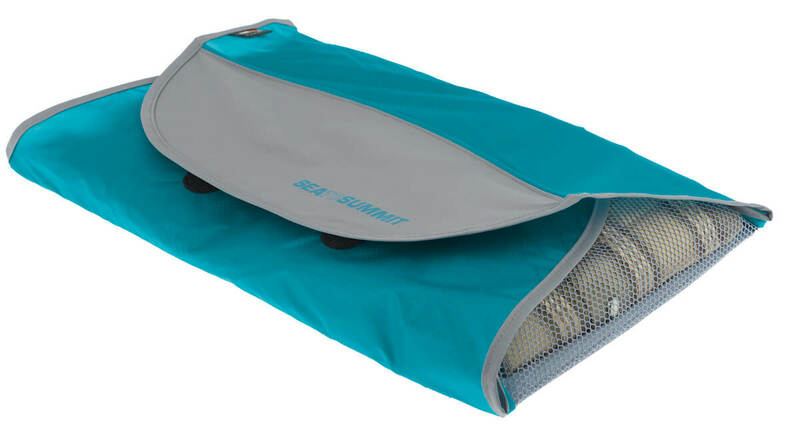 Sea to Summit’s Duffel Bag has robust straps with metal hooks, which allow you to carry it like a backpack or over one shoulder. While most duffel bags have a completely illogical zipper straight down the middle, the Sea to Summit expedition duffel bags have a smarter suitcase-style opening. The lid also opens wider than on most other duffels to give you easier access to your gear. You never know when you’ll run into a thunderstorm, so it’s best to be as prepared as possible. 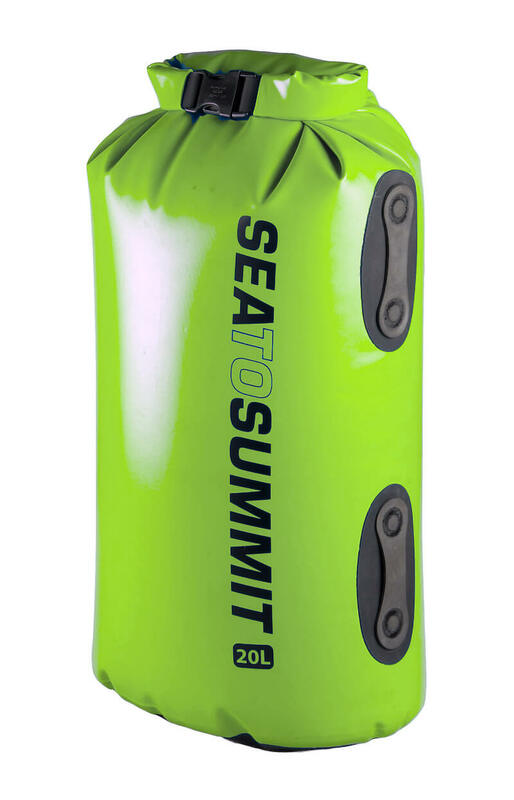 The Sea to Summit duffel features a tough 1000D nylon base and rugged construction which is water resistant. If you are caught out in the elements for an extended period of time, you’ll want to get some dry bags, like the heavy duty Hydraulic Dry Bag or the lightweight Ultra-Sil Nano Dry Sacks. Pack your clothes and most valuable items within these bags and you’ll be good to go regardless of the conditions outside. What are some of your personal packing tips? Leave a comment below. This article was brought to you by Sea to Summit. See the company’s travel products here. Good tips! 100% agree about the snacks.